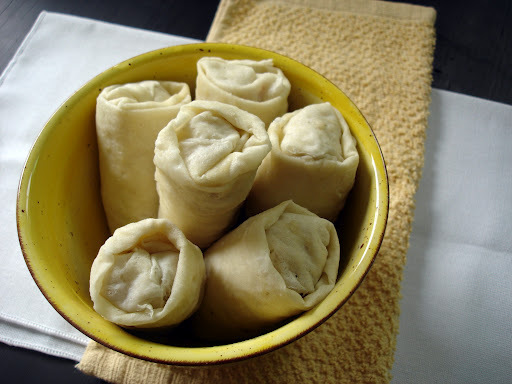 Lumpiang ubod is spring roll with heart of palm as the main ingredient. It can either be fresh or fried. This version is fried. 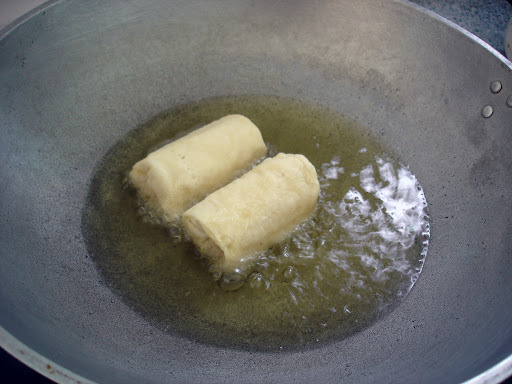 I heated up some vegetable oil in a wok and fried the lumpia until they were golden brown, about 2-3 minutes on each side. Then placed them on paper towels to drain the excess oil. 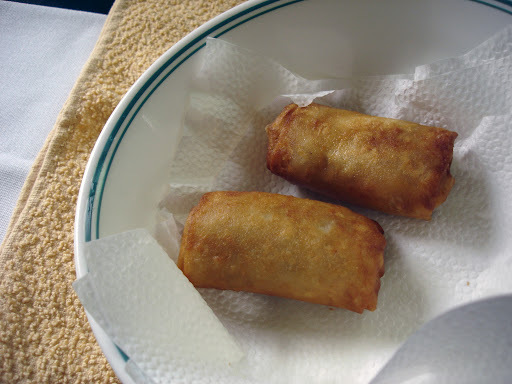 Fried lumpia is best served with vinegar dipping sauce. 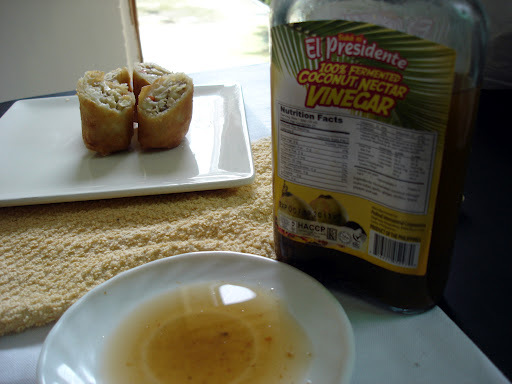 Today I used El Presidente’s coconut nectar vinegar. It is a special concoction of fermented coconut nectar and fresh spices like garlic, ginger, chillies, black pepper, and salt. Lunch is served. Thanks Nanay!